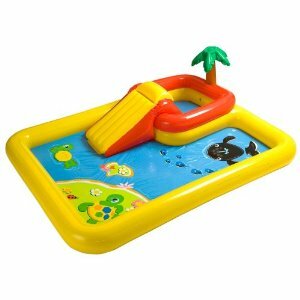 Great Deal on Ocean Play Center – Perfect for Summer! It is not long now until summer officially starts so how about getting a great price on this amazing Ocean Play Center? This has 47% off list price which takes the deal down to just $31.99. This Ocean Play Center is a lot of fun! It is 2 pools in one with a small pool and a larger wading pool. It even has a water slide and inflatable palm tree! FREE NasoFlo Neti Pot with Nasal Wash on Facebook! Radio Flyer Kid’s Wheelbarrow just $29 Shipped!